Find out why so many patients enjoy coming to Dr Parikh. Our doctors offices at Brier Creek in Raleigh NC and in Cary NC are internal medicine and primary care clinics offering suitable all-inclusive medical treatment services for all of Dr. Parikh’s patients. Adult Medicine, Primary Care Physician, Family Doctor, and Internal Medicine are all areas that we cover at both doctor office locations. 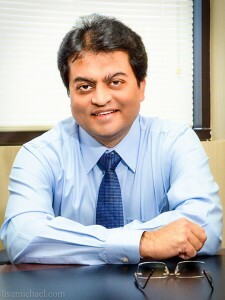 We are led by physician, Dr. Himanshu Parikh, MD – a doctor that believes in working closely with each and every patient using experience, common sense, good listening skills, and a belief in joint partnership in treating all illnesses… all with the aim of helping patients understand and reach their potential when it comes to their health. From a common cold or sickness to more serious ongoing issues involving cardiovascular issues including high blood pressure, high cholesterol, diabetes, and weight control issues, you will be treated as more than just a patient. Dr. Parkikh is supported by a superb staff of medical professionals who are equally dedicated to nurturing a feeling of respect, dignity, and shared dedication to your well being – and backed by a full complement of medical resources to help with all types of issues. We are happy to work with all types of patients from something simple to something more serious. We are very experienced in handling patients who have more serious issues and working with internal medicine issues. Many internist issues involve longer term concerns. Think of general overall heart health, breathing/pulmonary issues, neurological issues, GI issues, and general intestinal issues, etc. Our offices are dedicated to providing the type of long-term, comprehensive medical care that many more complex issues require, with integrity and sensitivity to patient needs. Conveniently located in two locations in the Triangle area. Our medical offices in Cary NC and Brier Creek clinic offer local Triangle residents a choice in their medical care. We intentionally keep our offices booked comfortably with generous scheduling to allow each patient the time and attention they deserve. You will not walk in to find you’re patient #10 and your appointment is in 10 minutes. We know how frustrating THAT can be. We do suggest you show up a little early however to fill out any forms that may be needed particularly if it is your first visit. Find out more about the Medical Services that we offer! 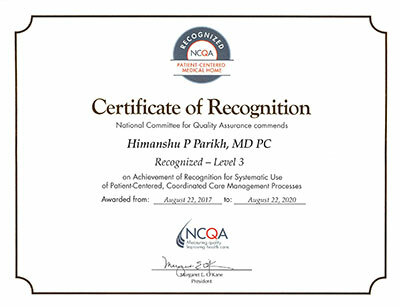 Dr. Himanshu P. Parikh M.D., P.C.